Dhaka, 19 July, Abnews: With a $113-million budget, the most expensive Chinese film ever made has become a flop of historic proportions, pulled from theatres on its opening weekend after bringing in a paltry $7.3 million. 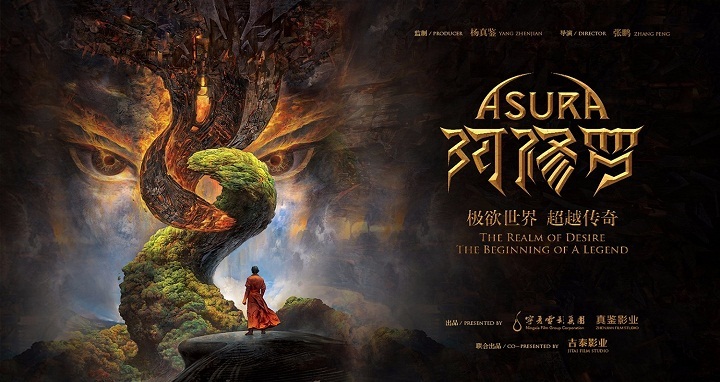 Alibaba Pictures' special effects-heavy fantasy film "Asura" was intended as the first instalment in an epic trilogy inspired by Tibetan Buddhist mythology, part of a drive by authorities to promote works bearing elements of traditional Chinese culture. By Sunday, the film's official social media account posted a statement declaring that it would be removed from theatres as of 10:00pm that night. "We express our apologies to all those who wanted to but won't have the chance to see it," it said. Most of China's biggest blockbusters to date have been made with half the budget lavished on "Asura". The estimated loss of $106 million would make it the fifth-biggest flop in movie history worldwide, behind frontrunner "Sinbad: Legend of the Seven Seas" which suffered losses of $125 million, according to data from website Box Office Mojo. State media had touted the movie before it was released, with the China Daily hailing "Asura" as "the most hotly anticipated blockbuster of China's competitive summer season." "It's a very imaginative movie. We wanted the film to raise confidence in our own culture and train more domestic talent," Yang Hongtao, chairman of Ningxia Film Group, one of the movie's backers, told the paper ahead of Friday's opening. Bankable Hong Kong actors Tony Leung Ka-fai and Carina Lau starred, while high-powered foreign talent -- such as Oscar-winning Ngila Dickson, costume designer for the "Lord of the Rings" franchise -- also took part. "My god, it's horrifying! It's just a magnificent pile of excrement!" one user wrote. Wildly different reviews on the country's two largest ticketing platforms prompted a virulent retort from the movie's production team, posted Friday to its social media account. On opening day, "Asura" netted an 8.4 rating out of 10 on Alibaba-owned Tao Piaopiao. But on Maoyan, backed by Alibaba's rival tech giant Tencent, reviewers had given it just 4.9. The team accused Maoyan of using fake, paid reviewers to post 1-star ratings to artificially deflate the film's score, calling the alleged move "despicable, foolish, and ludicrous." Many users dismissed the film's team's statement.